played through the worldproperies like the other gamemusic. the purpose of those is to change music when facing AI's and stuff like that. 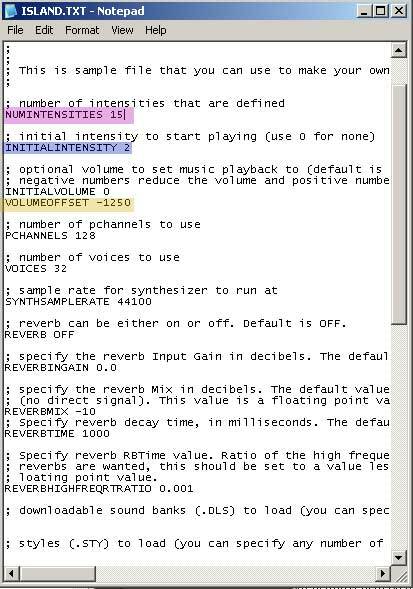 you can also use a whole song as a 1 segment. 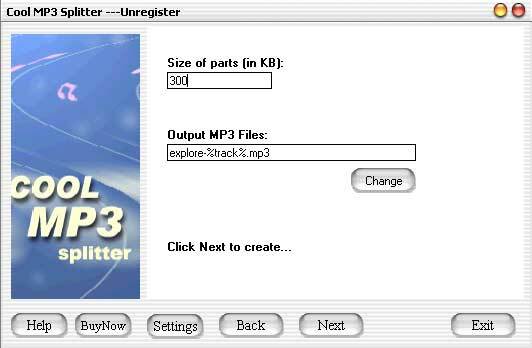 For instance Cool mp3 splitter which is a shareware. the '%track%' in the name and no spaces or capital letters. You should now have a folder that looks similar to this one..
2. Make them the right fileformat. licensed from Fraunhofer IIS and Thomson multimedia. it in Windows Mediaplayer afterwards. There is also a tutorial on this site about how to install the codec. 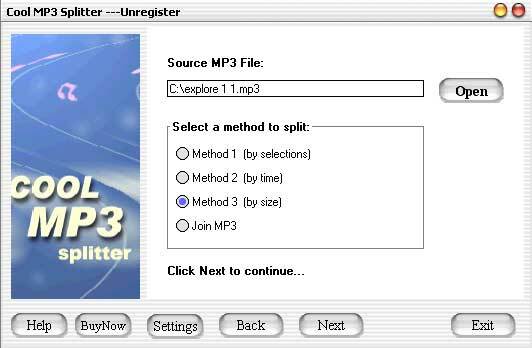 Complete step 1 to 3..
mp3 codec and won't save it as .wav. 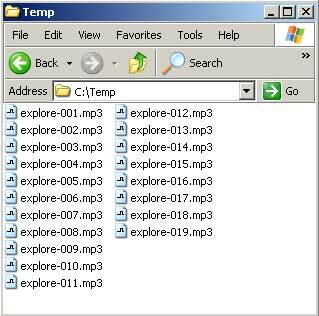 But in order to do so we have to convert the mp3 into normal PCM wave files. inside it.. that's where the finished segment are stored. gamemusic folders and paste it into the 'SPAWN' folder. Note the text that is marked with purple, blue & orange..
Now you need to insert the segments into the file as 'INTENSITIES'. Scroll down until you find something that is similar to the text below. 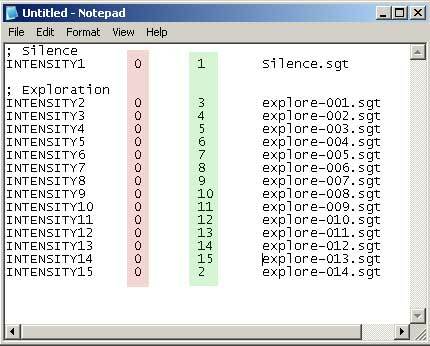 before moving on to the next Intensity '-1' means repeat. 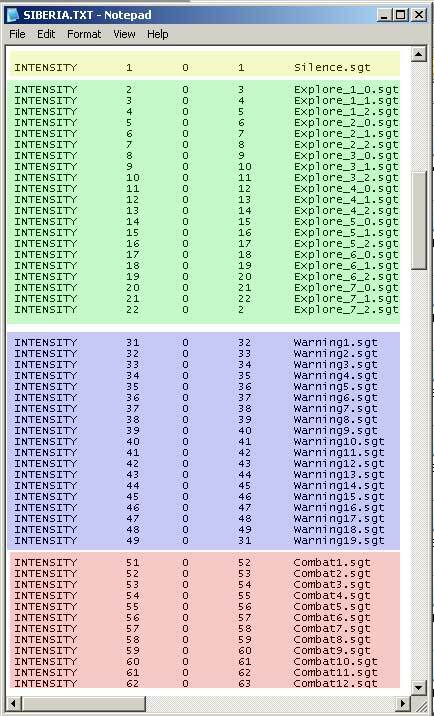 The value in the green cell tells the engine what to play next. then edit the name and intensities.. 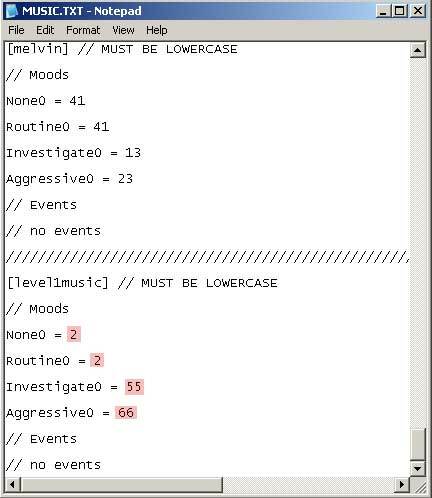 The red values are 'intensities' from the music controlfile..
but you can add segments for that as well..
Lovely to see you too, hon. Um... was I s'posed to wait for the final draft of that tutorial? 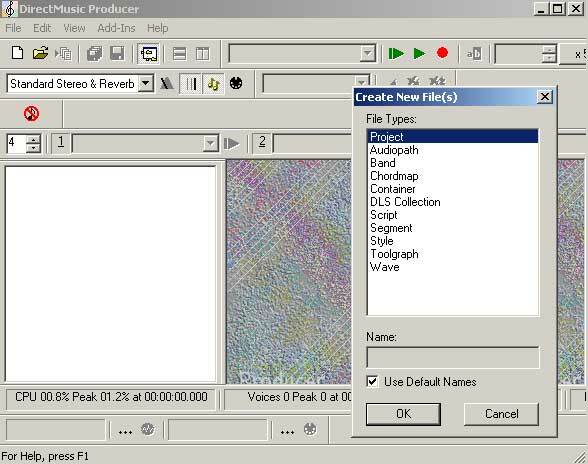 I remember using goldwave a long long time ago. Never had any problems. Must be just Spawn. 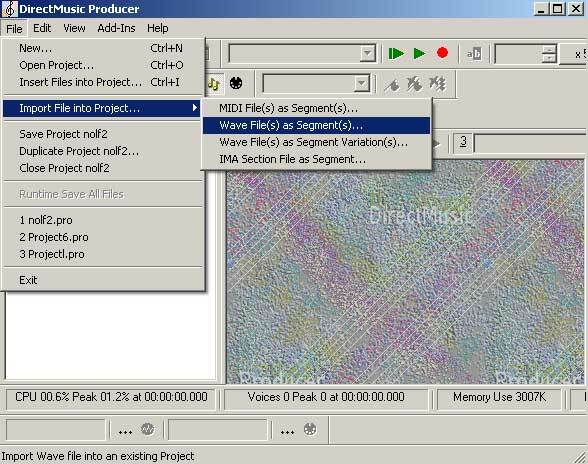 to make Mpeg Layer3 128 kBit/s, 44,100 Hz wav files? Hey chill out and lay off of Jiao Spawn!!! hmm.. hey! I was saving a similar line myself for some suitable occasion! Why don't we just have one big cagefight and get it over with? Anyway, I messed around with goldwave because I wanted to put some radios in my map. Got it to work on one radio but didn't use it in the end. Cagefight? I'll bring the popcorn and beer! As for GoldWave...that program sux!